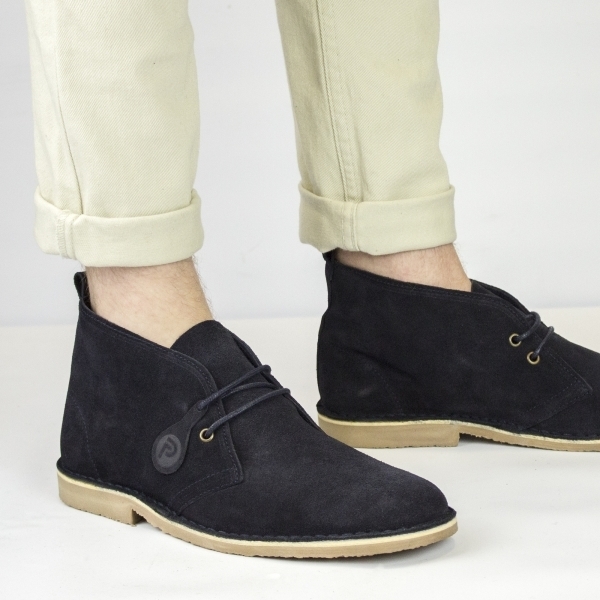 DesertBoots.com present classic minimalist desert boot style from Popps. Made using a quality soft suede with a 2 metal eyelet lace up these create a stunning casual look to complement pretty any look. Underneath the flexible PVC crepe sole allows your feet to flex naturally as well as holding the ground well.